The Akita is a “spitz” type dog which means that they are characterized by long, thick and often white fur with pointed ears and muzzle. These canines originate from the mountain regions of Northern Japan. 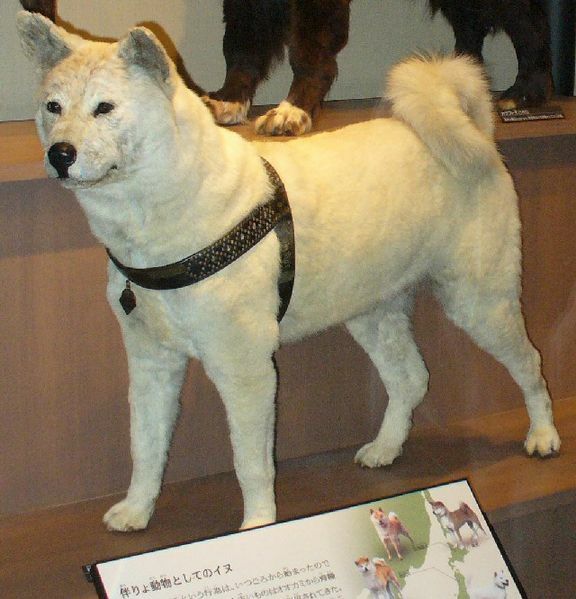 The Akita is one of the oldest native breeds of Japan. They were bred for bear and deer hunting and were selected for their ability to hold the prey at bay until the hunter could make the kill. In the 20th century the breed was influenced by cross breeding with the English Mastiff, St. Bernard, Great Dane, and Tosa Inu in order to develop a breed for effective fighting dog purposes. During WWII, they were crossed with German Shepherd lines so they could be classified as a military dog to avoid culling. In 1934, the first Japanese breed standard was developed to preserve the breed and careful breeding was encouraged. The Akita is the national dog of Japan. There are two variations of the Akita, the Japanese strain known as the “Akita Inu” and the American strain known simply as the “Akita”. There has been much debate among dog fanciers to resolve whether the two strains are two separate breeds or two types of the same breed. The Japanese Akita Inu comes in just a few colors, while the American Akita can be any dog color. 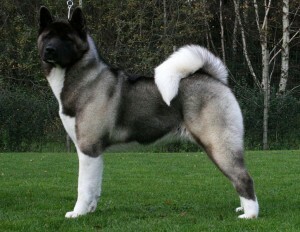 The American Akita allows them to have a black mask and the Japanese Akita Inu does not. 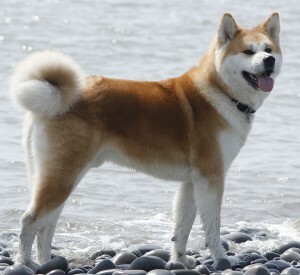 The American Akita is bigger boned and more “bear” like, while the Japanese Akita Inu is smaller and more “fox” like. The American variation is considered to be a “fighting” breed and the Japanese variation is considered a “working” breed. According to Federation Cynologique Internationale and the Japanese Kennel Club, the American Akita is a separate breed. The American and Canadian Kennel Clubs both considered the two types one breed. Outside of Japan, the American Akita is the more common variation. The Akita is a strong and independent breed. They can be very dominant and are not for the inexperienced owner. 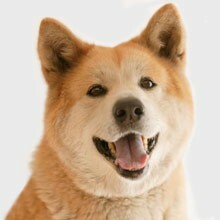 Akitas are described as very “cat” like because they like to be clean and will take time to groom itself or companions. They are usually docile, calm, and intelligent. They are not barkers and often vocalize using other sounds. While they can be affectionate with their family members, they are often aloof with strangers. They are very protective of their families and can become dangerous if they perceive a threat. 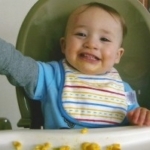 They can do well with the familiar children in their household, but may not tolerate all children. Caution should always be taken because of their history and size. Like all breeds, they retain the traits needed for their original functions. We don’t recommend Akitas for families with young children. Unlike many other breeds of dogs, Akitas were not bred to work in groups and prefer to be the only dog. They can be aggressive towards other animals, especially dogs. They are not suited to visit off leash dog parks. Socialization in early years and obedience training is encouraged with Akitas. 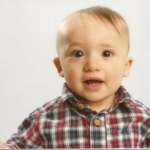 They are very willful and spontaneous and needs a confident and firm handler and trainer. While socialization and training may help deter some behavior issues, it may not prevent aggression issues. Owners must be patient with training because Akitas become easily bored and lose their attention. The Akita needs moderate exercise to stay healthy and happy. Long daily walks are ideal. Due to their coats, they are heat sensitive and walks should be taken in mild or warm weather. Akitas shed heavily twice a year and regular brushing is required. Akitas may be prone to medical issues such as dysplasia, autoimmune thyroid issues, skin issues, entropion, and patella and knee issues. They typically weigh 75-120 lbs and live 10-12 years. In North America, from 1982-2015, Akitas and their mixes have been responsible for 83 serious attacks on humans that resulted in 8 fatalities. 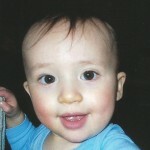 53 of the victims were children.